My last day in the UK was spent on public transportation. I had a few hours to spend in town before heading to the airport so I planned a trip to Brent Reservoir which is technically in London but like traveling from Center City Philly to the Northeast. I had to take 2 "Underground" lines and then walk over a mile to get there. I targeted the reservoir hoping to get a few last Life Birds which I did manage. Like many of the parks in the UK, this one had a "hide" or bird blind that is managed by locals. They lock them up when not in use so that they are not vandalized or used by homeless people to sleep. You need to be savvy enough to find the contact info for the guy with the keys before you go. I am not that savvy. I emailed the guy the night before but of course it was too late for him to be able to help me out (although he did respond to my email). 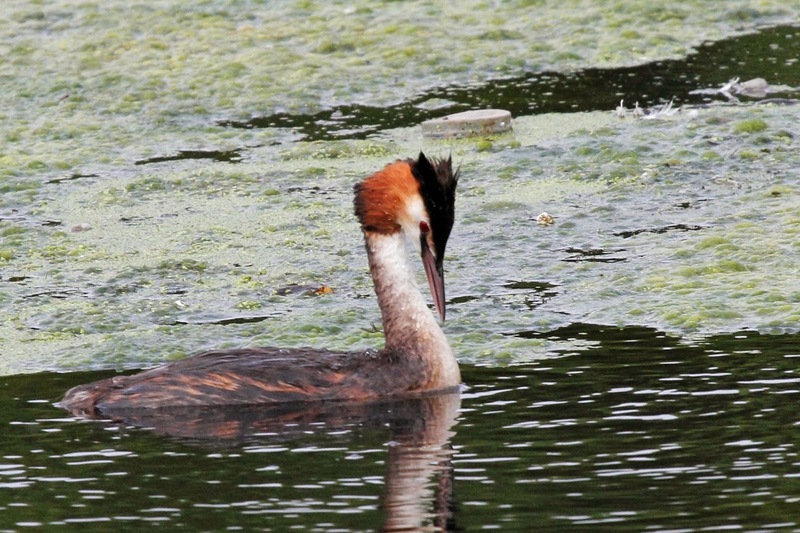 One of my target birds for the trip was Great Crested Grebe and although I saw many on the trip, the grebes at Brent Reservoir were particularly accommodating. Here is the classic side shot where you can see the crest on the head and the puffy feathers on the neck. This is a big bird. 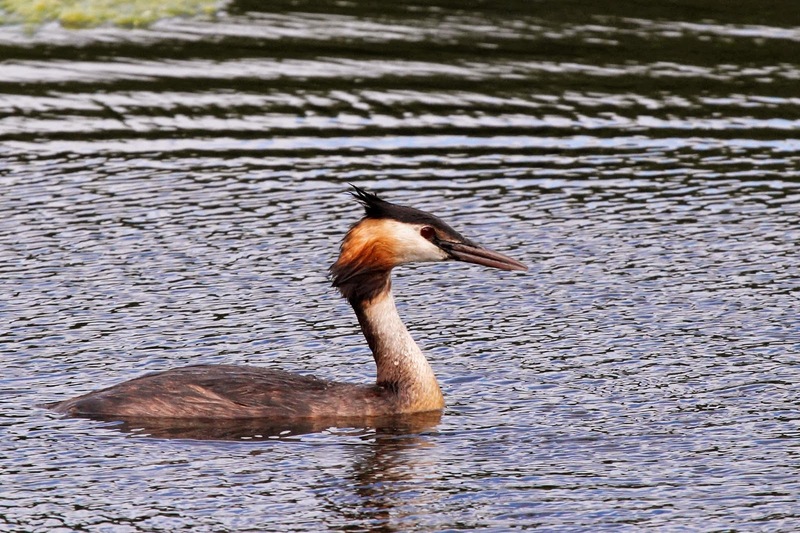 Probably as large as Western Grebe or even larger. What a sight. Here is another shot of the same bird where you can see the crest. Other water birds were going about there business too. 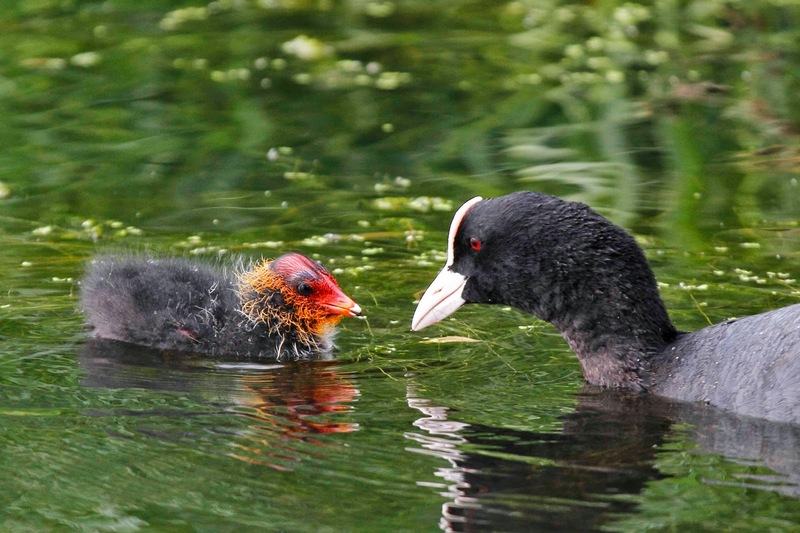 Check out this Coot baby. Its a wonder that Mom takes credit for that ugly mug! 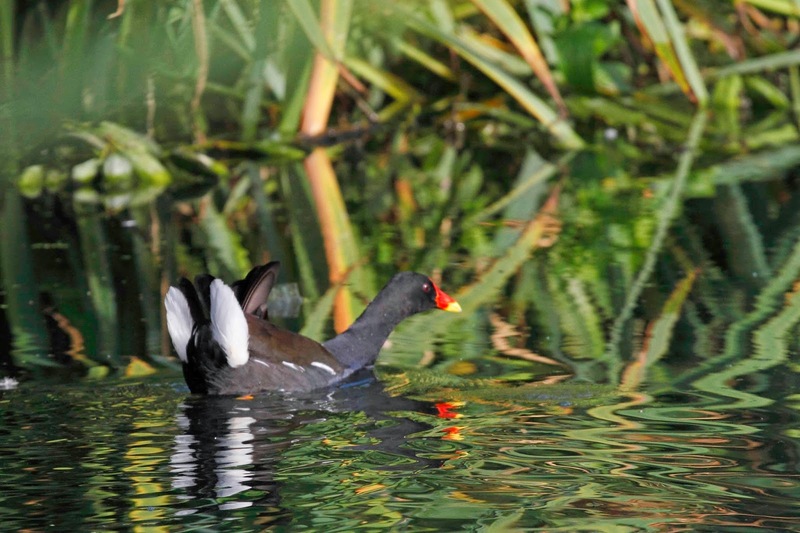 The Moorhen was not so trusting of people. I didn't know it but I got too close to her nest. She freaked out and started swimming away from the nest while wagging her tail - a distraction display intended to make me follow her and leave the nest alone. It worked. I couldn't keep my eyes off of those bright white tail feathers. Andrew (the guy with the key) was kind enough to review some of my photos to make sure that I got the ID correct. 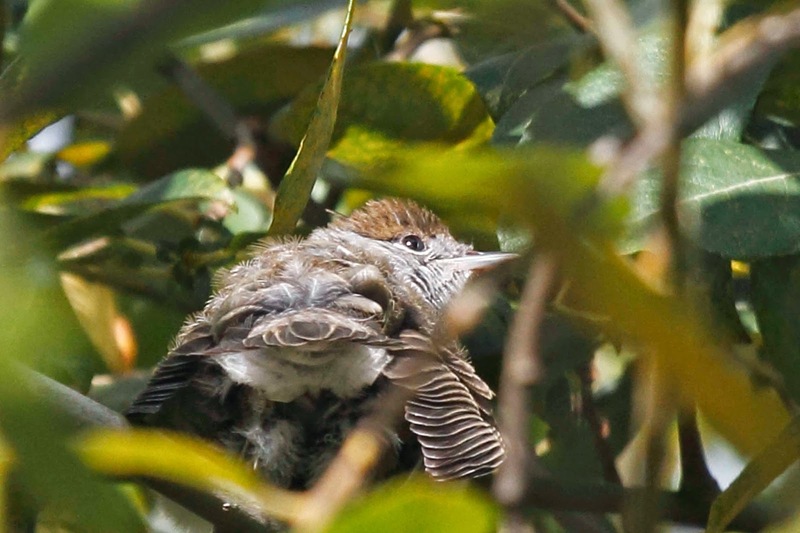 Here is a female Blackcap who landed in front of me and proceeded to go into a torpor (a kind of trance like state where the bird just droops its wings and lays in the sun). Summing up the trip - it was GREAT! 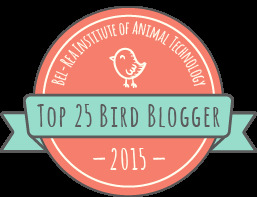 Great birds, great people, great scenery, great experience. The only thing that I wish is that my Mom was with me (I should have planned ahead). She would have loved all of it (except the trudging around in the rain part). Oh well, she'll have to live vicariously by reading the posts.